“Good in one go” is the name of a project executed by an existing network of health and social care organizations in the Arnhem region. The project aims to clarify and align the choices, scenarios and implications of a sudden need for more intensive care in the home (e.g. in the case of dementia or brain injury), for older people, their carers and professionals. In order to ultimately achieve the right care in the right place at the right time. When a crisis (e.g. a fall or increased caregiver burden) in the home situation of a frail, older person occurs, often a temporary bed in a nursing home is requested. However, a temporary bed is not always the best solution for the older person since it may lead todisruption in the life of the older person . Additionally, it is not financially sustainable, because unnecessary admissions to temporary care or hospitals leads to higher costs. To make good decisions in a crisis situation, it is important that GPs, health care professionals and social care professionals take an holistic approach to the older person, taking into account their specific situation and needs. This means that not only a medical perspective is required, but a social perspective and the perspective of the family of the older person are just as important in making the best decision. This could be, for instance, more intensive care at home, hospital admission or a temporary bed in a nursing home, depending on the situation and the needs of the older person. To achieve this, collaboration between the involved professionals and organizations has to be improved. 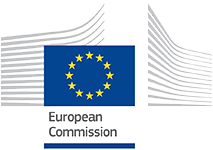 The SUSTAIN project originally cooperated with the Walcheren Integrated Care Model (WICM) in the Netherlands. Unfortunately, the WICM had to withdraw from SUSTAIN due to prioritization reasons. In the region of West-Friesland, health and social care professionals have been working in innovative ways to improve care and support for older people living at home. For instance, the municipality of Medemblik started working together with community nurses and social workers in a community social care team, in order to meet health and social needs in the community. Case-management to support people with dementia and their carers was introduced in the region, and general practitioners (GP’s) started working according to the Geriatric Care Model. In this model, a geriatric practice nurse is trained to carry out a multidimensional assessment of the patients’ functional health as well as their care and social needs using the Resident Assessment Instrument (RAI). This enables immediate identification of problem areas and provides guidance for individualised care plans. In complex situations, the assessment outcomes are discussed in a multidisciplinary consultation team including a geriatric practice nurse, GP and/or nursing home physician and, if necessary, other involved health and social care providers. 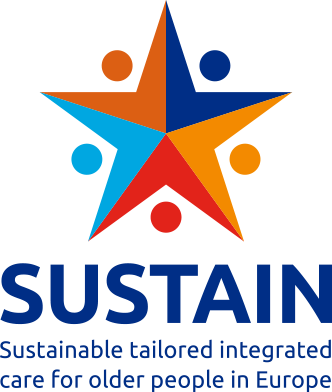 In the SUSTAIN project, professionals aim to improve collaboration between these different activities, in order to better meet the needs of the frail, older person living at home.